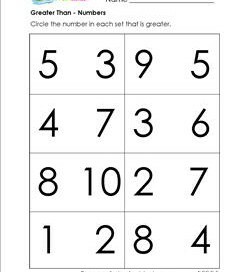 These greater than and less than worksheets have two objectives. 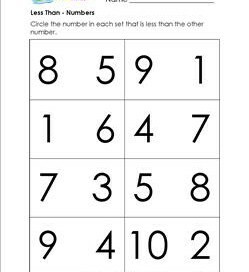 One is to have kids identify numbers that are greater than or less than another number. 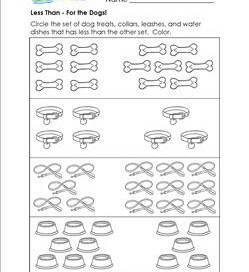 The other is to compare sets of objects and circle the set that is either greater than or less than the other set. 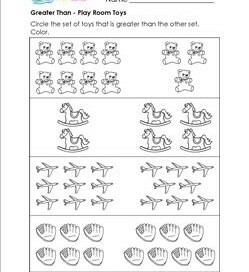 These are similar to the more and less worksheets. They require counting skills and the ability to see that the bigger number is greater and the smaller number is less.